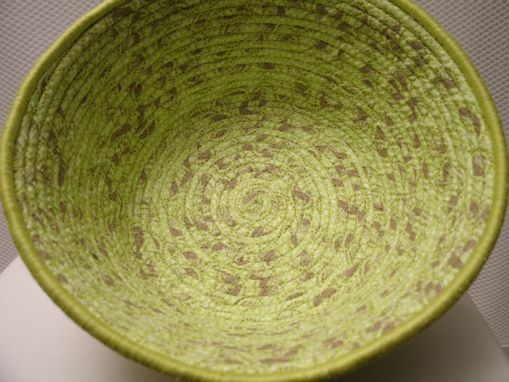 Adorable ROUND BOWL in shades of green. 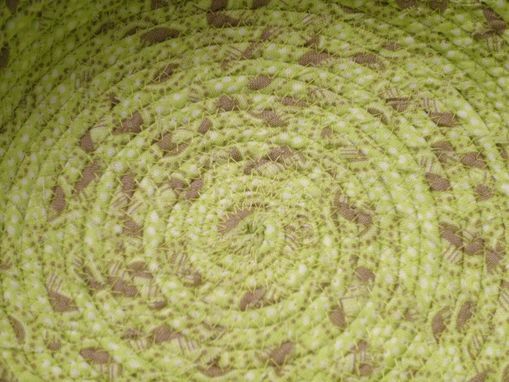 Bowl is constructed by handwrapping CLOTHESLINE in strips of fabric and then machine sewn with a zigzag stitch. 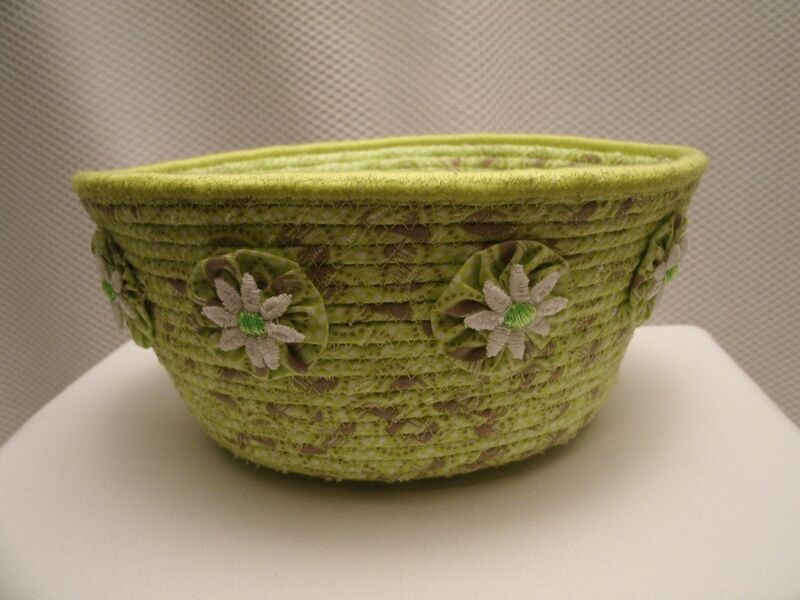 Bowl measurements/details: bottom diam. 5 inches, top opening 7 3/4 inch diam., 3 1/4 inch deep. Yoyos with white flower centers around the bowl. 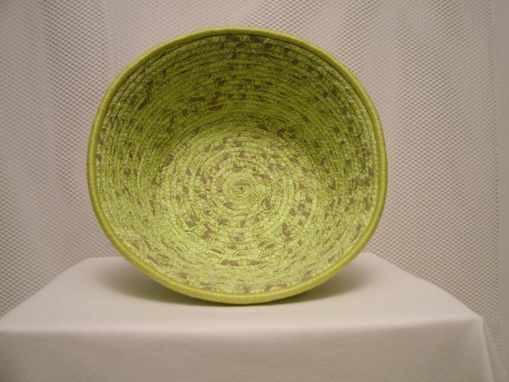 Lime green is the primary color with taupe accents. Green satin stitched edging. Ideas for usage - serve snacks (place napkin in bowl), rolled up wash clothes in powder room, hair barrettes, use it as a gift container and stuff it someone's favorite items, potpourri, or just anything you'd want to toss into a bowl! Bowls are functional, durable, and can be spot cleaned with warm water and a mild deterent. These pieces will last a very long time, if not forever!